Mosquitoes are a very common problem in Pennsylvania. If your lawn has become a hospitable place to mosquitoes, you are at risk for multiple mosquito bites – and possibly even disease. 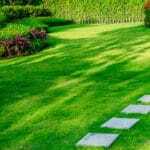 If you want to spend your summer outside and not worry about being inundated with mosquitoes, listed below are four landscaping ideas you can implement to lessen the impact they have on your summer. 1. Don’t Create a Mosquito Breeding Habitat – Mosquitoes lay their eggs in standing water, and will breed in this environment. Things like clogged gutters or bird baths are common locations for standing water. 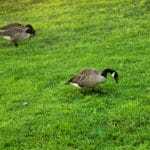 In some cases, like with birdbaths or ponds, or things like that that you want to keep around, there is a chemical that you can use that is non-toxic to birds and fish that will kill mosquito eggs and larvae, however most standing water should be eliminated. 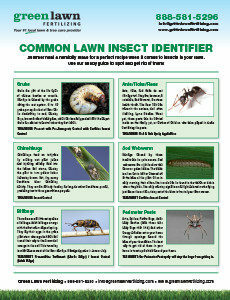 Adding any of these plants to your landscape can have the potential to make your entire property less hospitable to mosquitoes. 3. 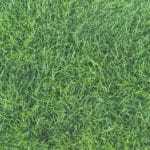 Better Draining Grass – Finally, you can improve your grass’s ability to drain. 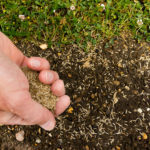 Make sure that your soil is not compacted, and that the roots of the grass grow as deep as possible. This will allow the water of your lawn to drain very easily, and prevent any natural moisture buildup that makes your lawn more hospitable to mosquitoes. Green Lawn Fertilizing can help with many of your lawn care needs, including several services that can help you stay safe from mosquitoes. Give us a call at 888-581-5296 today to find out more about our mosquito control and green lawn strategies for the entire Pennsylvania, Delaware, and New Jersey areas. Another way to rid a water tank of pesky mosses is to pour a bottle of cooking oil into it. The oil sits on the surface and forms a barrier which stops the larvae from breathing. Cooking oil should be fairly safe in the environment too, so the water can still be used on the garden.